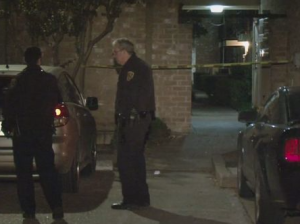 Police are reportedly searching for suspects in the robbery-shooting of a man outside the Sterling Point Apartments in Houston Tuesday night, January 5, 2016. According to KHOU News, a “male resident” of the “Sterling Point Apartments” was approached by two armed assailants in the complex parking lot, around 10:30pm. The suspects apparently “robbed [the victim] of his cell phone” and “shot him…in the abdomen” before fleeing the scene. The victim was transported to Ben Taub Hospital in serious condition, per media reports. Police are still searching for the two gunmen. Residents and guests of apartment complexes have a right to feel safe and secure within the community. The Murray Law Firm questions the level of security provided at the apartment complex, and whether this shooting may have been prevented.